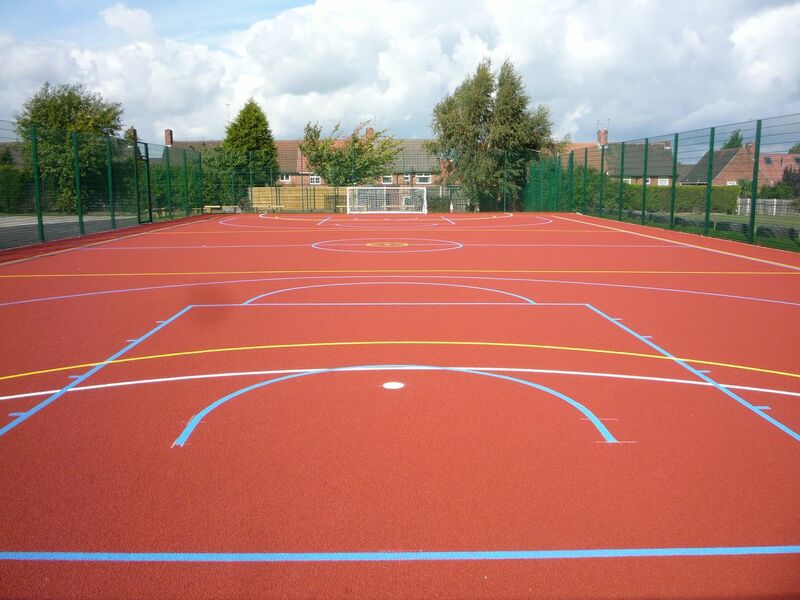 Polymeric rubber is a popular surfacing option for a range of sports including athletics, tennis, netball, basketball and multi use games areas where a number of activities can be played in one place. 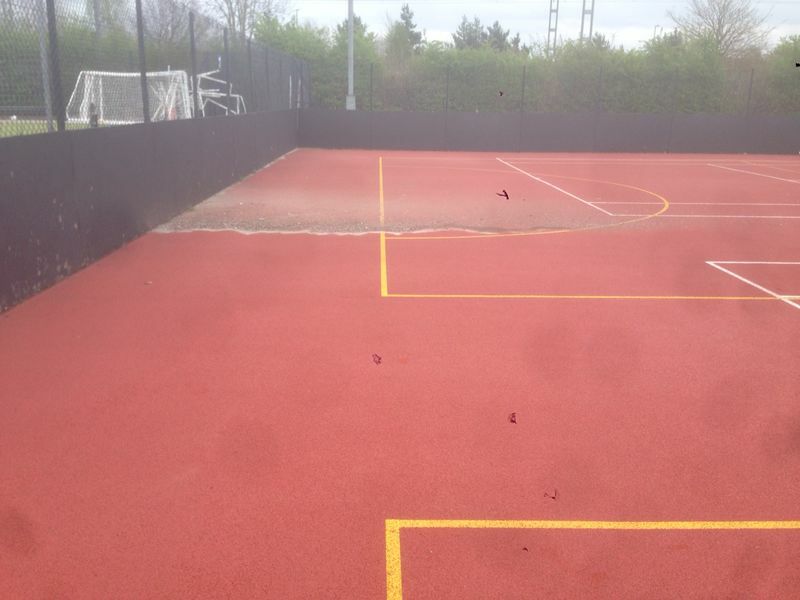 This EPDM rubber sports surface provides excellent ball bounce and slip resistance qualities, as well as being fully porous to allow water to drain through it, preventing flooding and waterlogging. 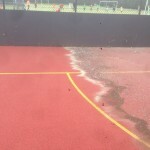 It’s important to carry out regular polymeric surface maintenance to maintain these performance characteristics, and to keep the sports facility safe for those who use it. 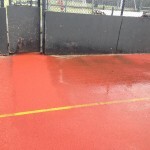 This specialist maintenance could include brushing and pressure washing to remove debris, and repairs to surface damage caused by overuse and vandalism, as well as repainting and reline marking to give the court a fresh new look. 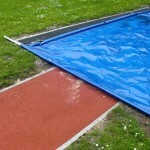 Chemical treatments can also be applied to the EPDM rubber surfacing to inhibit contamination from moss and algae; this helps to maintain good water drainage and prevents flooding of the surface. 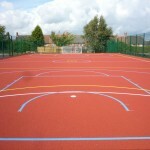 The costs for polymeric surfaces cleaning will vary for each job depending on the condition of the sports court or track. 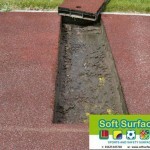 If the surfacing is in a very bad state and requires a lot of repairs or resurfacing, this will of course be more expensive than simply pressure washing and brushing the surface. 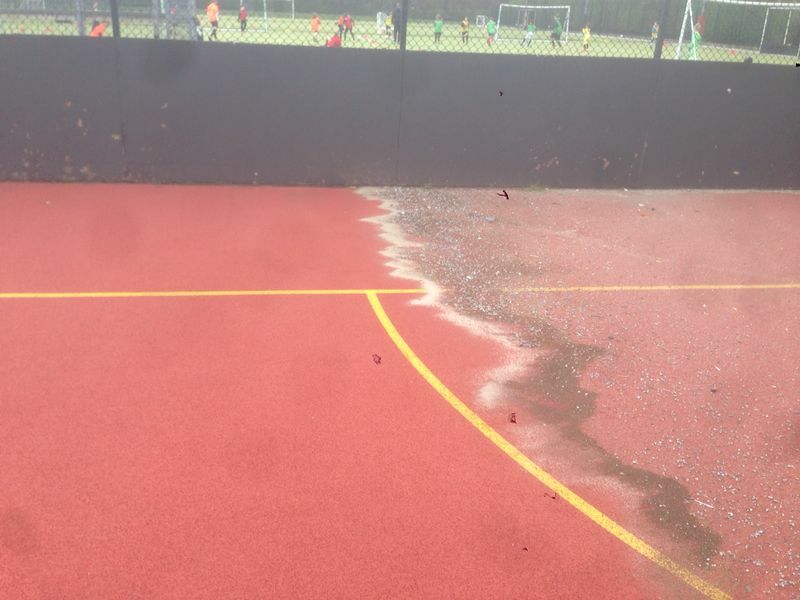 This is why it’s important to carry out regular proactive polymeric surface maintenance to look after your sports facility and prevent the effects of damage and weathering from overuse. 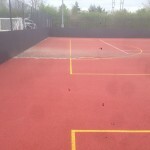 We want to offer you great value services to extend the life of your polymeric rubber sports facility and ensures that the performance and safety qualities are the best they can be. 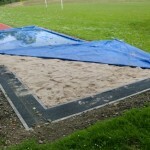 Our quotes can be tailored to meet the individual requirements of your organisation in terms of budget and scope of works so you get the results you want at a price you can afford. 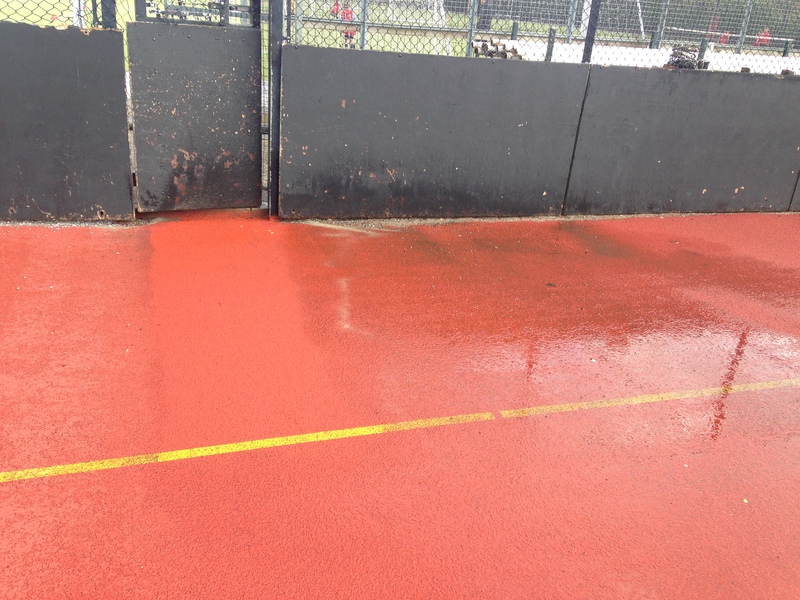 Please fill in our contact form if you want to discuss some maintenance work in more detail and we’ll happily offer you some advice along with a quote for carrying out the cleaning, maintenance and painting work for your sports facility.